You’re scrolling through your Facebook feed and Instagram account and see fun photos of full-time travelers, while you’re stuck at your desk job. It’s easy to get jealous, it’s easy to want to say ‘screw it’, and walk out of the door. But before you start wondering whether this lifestyle is for you or not, you need to consider some things. I think travel bloggers should stop encouraging all people to quit your job to travel, simply because that’s not reality. While you can make money blogging, think about it, if it was so easy then why isn’t everyone doing it? WHY SHOULD everyone suddenly quit their job, leave their boyfriend/girlfriend, sell everything, and travel…? 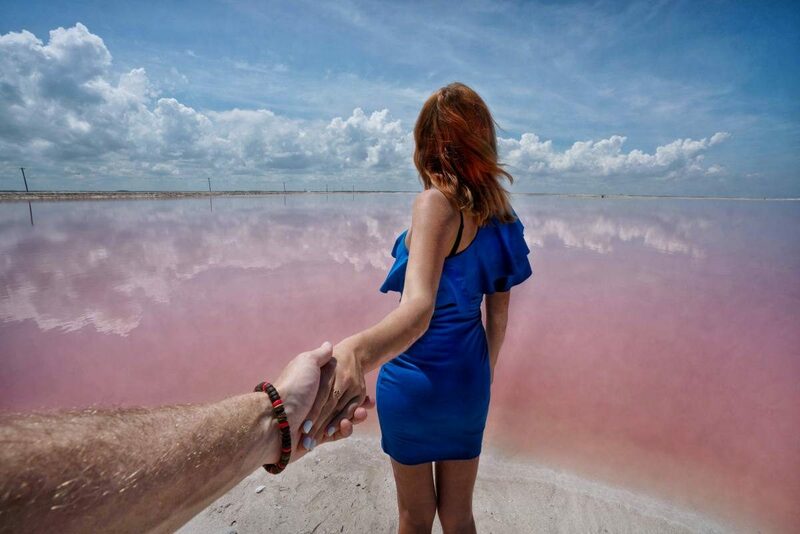 Follow Me & Quit Your Job to Travel…? Maybe you can simply adjust your regular holidays? The biggest mistake many people make in corporate America is to cash out holiday time. People are stuck in a mindset that no one ever takes vacations, and if I take too much then I might be fired. Some even come in when sick. Just don’t do it! You deserve your time off and you should ask your employer for an annual leave. If your regular annual leave doesn’t seem to be enough, ask for a possibility of an unpaid time off or an opportunity to work from home. You’d be surprised how many bosses agree to this. I actually used to work from home quite often. If you’re still a student, or about to decide whether to go to college or not, you can consider various travel opportunities available by universities. READ MORE. 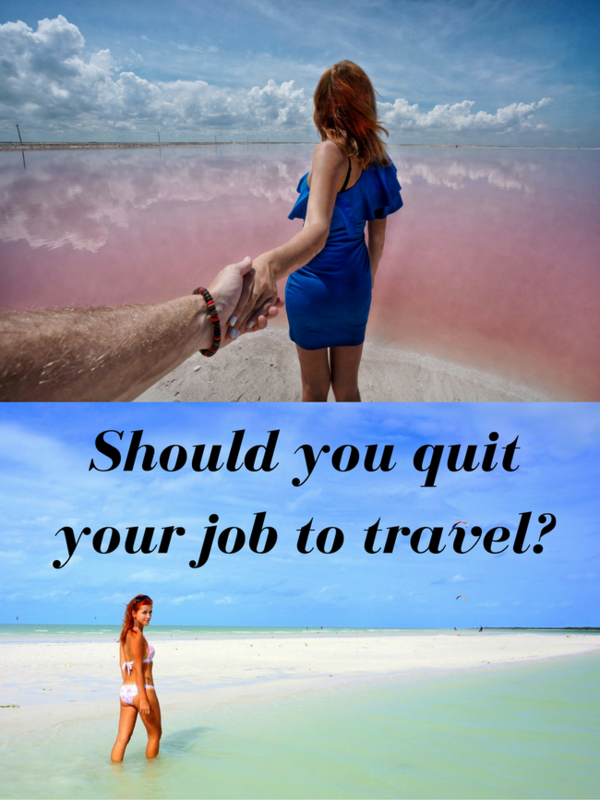 As a long-term traveler myself, I don’t think that quitting your job to travel is wrong per se. However, you should answer a few questions honestly, before making the final call. But if you think quitting your job to travel the world is all good, this post might have you thinking twice. Is long-term solo travel for me? Can my loved one go with me? Do I need to find a job on the way? In case things don’t work out, do I have a backup plan? First, let’s face the truth: traveling, especially solo, isn’t for everyone. It takes a certain personality to really hop around the world and if someone doesn’t do it, it doesn’t make him any less courageous. Sorry, but if you quit your job to travel full-time, it won’t be the same as your 10 day holiday to an all-inclusive resort in Mexico, or a Caribbean cruise. It will often be tough. These short-term holidays are luxury vacations and there’s absolutely nothing wrong with them, but that’s not how long-term travels look in reality. No one can afford these things all the time, and also you need to spend long hours researching where to go next, and even more time traveling between places. Solo travel doesn’t mean that you’re totally on your own. You can be traveling solo with your partner or a friend. Solo means planning your activities on your own, figuring out how to get from one place to the other, without depending on a fixed schedule. It means depending on yourself only, not on your travel agency or guide. Again, there’s absolutely nothing wrong with traveling with an organized tour group. Especially if you’re a less experienced traveler, pre-arranged tours are great. BUT, they also cost like 3-4 times more than if you went on your own. Do you have enough money saved to travel the world? Even if you think you do, it might simply not be enough. Did you count all the visa costs, airport fees, spare attractions, and emergencies? While it’s definitely possible to travel on $1000-2000 a month, don’t think that it will be the same as if you go on a short holiday. You’ll often have to balance your budget. You might have to decide whether you want to see a certain attraction or eat a great meal. You can’t just splurge on everything in one week, as your limited budget might need to go a long way. Another issue with traveling solo is the problem of actually enjoying it. I was recently talking to my friend who left his job to travel the world with his wife. They had the money, they were excited about their adventures. However, after 6 months he admitted to me that the stress of traveling through new airports, hotels in different countries, eating new food, getting sick on the road, or dealing with visa issues every few days, not only made them both frustrated but also put their marriage to a test. And guess what? They’re back in NYC, happily working in finance and taking regular holidays. It wasn’t for them. My previous example leads to another thing: traveling isn’t always glamorous. It can be difficult, exhilarating and ugly. Did you know I had to sleep on airports’ floors many times due to delayed flights? Did you know I had some issues with hotel bookings and spent some nights in a shack with an entire family of spiders and roof falling on my bed at night, instead of my luxury bedroom? Or that time when an ATM ate my card and I ended up wasting a ton of money and time to rearrange all my plans? Those things can and will happen to many travelers. I think many people don’t think about as many influencers don’t want to post negative things on social media. I think it’s mostly due to the fact that not everyone wants to read that far into the story. They just want to see a quick Instagram capture and go traveling. I’m not going to lie, even I thought that my friends and family will be happy for me when I started traveling. At first, everyone is excited for you, following your journey on social media and ask you questions about your life abroad. However, weeks and months pass and your friends’ lives go on. Therefore they’re slowly becoming less interested in your exciting adventures. They won’t always ask you where are you off to next, or how did you like some places. Your travels are so far outside the realm of some peoples’ realities, they can’t comprehend what you’re telling them, let alone quiz you on the specifics. I mean, do you question your friends’ baby updates unless you have your own? I bet not. Many people get frustrated over it, as it’s a hard thing to accept. Another slogan encouraging people to quit their job and travel is that experiences are more important than possessions. While I wholeheartedly agree with this theory and prefer to embark on another adventure than buying new clothes, you need a balance. Any travelers make it seem like they’ve been living out of a backpack. Well, another spoiler alert: a lot of them don’t. And while they do for the first year or two, later on, one backpack changes into 3 suitcases full of equipment and other necessary things. They want to buy more. At some point, you’ll also miss having some basic things. 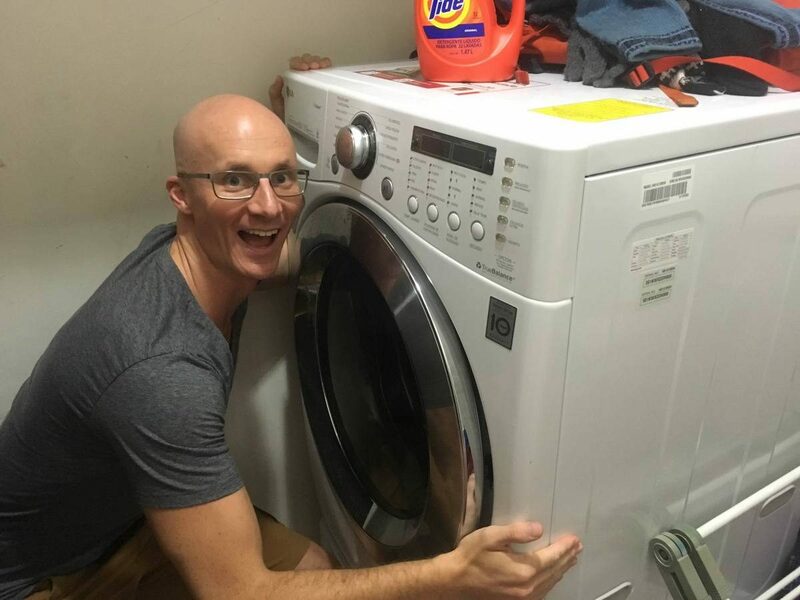 I mean, seriously speaking I’ve never seen anyone so excited about having a washing machine at the house like my boyfriend when we finally got an apartment after 5 years of his travels. You’re probably scrolling through your Facebook feed to see what full-time traveler bloggers have been up to today? Their Snapchat stories are also exciting. But here’s my question: how long have these people been on the road? A year or two, maybe three at least. Some may last longer, but they stop here and there to stay in one place for a couple of months in order to work. After a long time you won’t be hopping from one country to the other on a weekly basis, but instead get a base somewhere to travel from. Traveling all the time is as exciting as exhausting. One of my old bases in the Netherlands. Yes, it was messy! You will meet a lot of people when you travel, particularly if you travel solo. But at some point, the small talks like ‘where are you from?’, ‘what do you do?’ or ‘where are you off to next?’ are going to get old and you’ll miss your friends. While you’ll make friends on the road, sometimes you won’t want to explain some basic facts about your life to strangers. You’ll want to talk someone who knows you. There also will be days that you just want to stay in bed watching new episodes of your favorite TV shows. And that’s totally cool. I’m not here to destroy your dreams of traveling full-time, but make you see that grass isn’t always greener. I think long-term travel is great, but it isn’t for everyone and it shouldn’t be promoted like anyone can do it. There are many things to consider before (or if) quitting your job. I’d be interested in hearing your thoughts. Many pro ‘quit your job’ type of articles will tell you that you’ll meet amazing people on the road, learn, and therefore find yourself. Logically, can this be done anywhere? There are many people who have found fulfilling jobs that take them everywhere they want to go – why should they quit it, or feel bad for not doing so? There are people who network with hundreds of new people every day, even living in the same city. There are also others out there who can speak 10 languages, yet do not quit their jobs to travel. If someone is a boring person living in monotony, even quitting and traveling won’t be a rescue. Intelligent people can find new activities and interests wherever they are. They can travel, but they also don’t have to. It’s your choice whether to quit your job to travel or not, but the dynamics come from ourselves, not places we visit. Nice points. A food for thought for those who think it’s easy to do. That was the goal of this article. Thanks so much for your comment! I’ve really been enjoying your frank and thoughtful posts lately. Thanks for sharing a real insider’s perspective with us! Background – we are thinking of ditching our UK home (we are renting anyway so no hard feelings) and relocating somewhere sunny. I am a little worried as I always travelled (a lot) from the UK. I’m used to my life here, I’m used to my stuff (the washing machine!!! haha) my car, my clothes, my amazon prime deliveries. My husband strongly believes that unless we try, we will never know if this so-called nomadic lifestyle is for us. However, we aren’t planning on living one week here, one week there, but more like 3 months here, 6 months there, 3 months here and so on. I tend to believe that this is still full-time travelling (in a way). What’s your opinion about moving around essentially until you find the place you want to settle? Any challenges to be aware of? And more importantly, where are you guys going to next? What was your favorite destination thus far and why are you leaving Mexico? I know, I know….lots of questions, sorry! Great points! Also, some of the more popular long-term traveller bloggers that I follow are settling down in fixed bases. Travelling gets tiring and stressful and is probably not for anyone. I can’t even imagine myself constantly on the road. Very challenging! As a full time traveller who quit her job etc… I totally agree! My husband and I would never make this choice again and after a year were so excited to settle back down again. Constant travel is exhausting and kind of takes some of the fun out of travel. We miss sporadic trips that we can prepare for properly and look forward to! “While you’ll make friends on the road, sometimes you won’t want to explain some basic facts about your life to strangers. You’ll want to talk someone who knows you.” Yes! This is one of the hardest things about traveling long-term. I get so tired of having the same basic conversation over and over again…. then again, I can’t blame them because I’m not exactly brimming with interesting conversation starters myself 😛 Right now I’m enjoying long-term travel with some breaks, but I can already tell in a year or two I’ll want to slow down and establish a base somewhere overseas. It seems to be the best of both worlds — I just have so many places I want to visit in the next year it feels like there’s no way I can slow down. I am not a full time traveller, but I live temporary in Chile and been working from October and until Marts 2017. In the off season I am gonna travel with my husband until September and we´ll come back to take 1 season more. I could never be a full time traveller and I could never be this person who backpacks the world for 1-2 years. Imagine to tell the same story overtime you meet new people? “Hi I am Nana, I am from Denmark, I have been travelling for 1 year, recently I have been in Colombia and I am gonna stay here 3 days. Nice to meet you”. I love to travel, but I actually like being the same place for longer time and have a life there. But I also miss my friends and family. They think I am soon busy having an awesome life down here, but my gosh I miss my life back in Denmark! I miss talking Danish, Danish culture, humor.. but as you mention, lives go on for them and they get used to that you no longer are physical part of their life. I completely agree with these points and have came to these same conclusions myself lately after blogging for a year while working but secretly wishing I wasn’t working. LOL. I’ve decided that part time work while blogging is the way to go for me. Everyone definitely needs to be realistic about this! It’s not as easy as the internet makes it look! Great post! This is THE one article I had been searching the web forever! Finally, some one speaks about the harsh reality of quitting your job and traveling full time. I had been questioning myself ever since I started into the world of travel blogging if I could actually sustain it with a full-time job. Although I have the gut feeling that I can do it but I really wanted to hear it from someone with a first-hand experience. I am giving myself a 2-year window in which I will be working and blogging simultaneously. If I achieve my goals sooner than I would definitely plan at least a year off for full-time travel (thankfully my company allows this under personal development). Those are long term but this article really gave me a lot of confidence, energy, and belief in the fact that what I am doing maybe entirely not wrong. My name is Zoey and i’m 18 years old. I’m just about to graduate from high school and everyone around me is pressuring me to go to college and get married and start my office job. That has never been something I saw myself doing, I don’t want to live the typical life that 90% of people do. I’ve always seen myself traveling the world and discovering new cultures and meeting new people. Getting close to graduation, I know its something I want far more than college. I’ve never seen myself going to college. School is something that I don’t do well with and I don’t feel happy here. I am prepared for the hard work and effort you have to put in the travel a lot but I know its what i’ve always wanted to do since I was a little girl. To help me out a little bit I wanted to video my adventures and start a blog/vlog. I was just wondering if you had any advice for me. I have no idea what I’m doing and i’m nervous to start my adventures. 1) Go to university. It will help with your future earning potential, and your ability to travel the world. Plus, you WILL meet interesting people. 2) There are SO MANY exchange programs and other opportunities to travel while at university! Look at ways to do internships abroad over the summer, or semesters abroad, by talking to the university’s career centre. 3) A better time to travel the world is AFTER university. Having a college degree will help you more than you can imagine, even if you don’t like going to class (you’re not alone, many people don’t). The best time of my life was on my ‘semesters’ and ‘internships’ abroad via both undergrad and grad school. Take advantage of it, you won’t regret it! JB, I disagree with you completely. Zoey is not ready to go to college and needs a breather and some excitement and adventure in life now. That’s the perfect time to travel some, and though it will be immensely rewarding, it will also be very hard work. ….When that hard work begins to exhaust Zoey, that’s the time to come back and do some mundane work at the university. A gap year is certainly not a bad idea–go for it! What I am trying to convey, is that 1) university is important, and a gap year shouldn’t turn into a full on dropping out of the education system; and 2) there are opportunities to travel AND go to university at the same time. This latter option helps with your education, your future career, and your travel bug! Just some food for thought. Hello Zoey, please forgive my English, but I will try to.give you my point ov view. I did what it was expected of me ( at least for a while) finish school, and I went straight into university, have a long time girlfriend and plans to marry, after 5 years of studying, and because many situations I was single and very frustrated with how everything was going, so I decided to go to new Zealand with a visa called work and holiday, and I stayed there for 1 year. What this blog writes is kind of true, this is not for everyone, but I fear they only talk about bloggers, and kids that have family money. The other option and a great one is go, work 3 or 4 months, and travel, and repeat, it is hard some times as they say here, but anything you do in life will have good and bad moments, easy and hard ones, the difference, is I have travel the whole world, work in so many different things that I can remember them like, meet amazing people and others not so good, but I regret nothing. Now I’m living in Germany with my girlfriend that i meet in Austrlia and we Andre planing to go to Canada to do the same in about 1 year. So is a different life, I would not change it for anything, I’m traveling now while I’m still young, instead of doing it when I’m old and with not so.much energy, also it is important to study something, but is not urgent, that is what people.will make you think all the time, but trust me, if you study, you will finish and then you will start working immediately, so you will have that normal life that everybody does,let. Go ,travel, work, learn, have good and bad experiences, get sick with food and annlso try the best dishes you have ever in your life, it is worth it, and then, go back, study, and work, and maybe you will repeat the adventure again one day. Very good article. I have been traveling for last 5 years and it’s not that easy as some would have you believe. Not just the traveling the fact that hardly anyone understands what your doing. My family and most my friends tel me to settle down and constantly harassing me to settle down like others. And the sleeping in strange places is normal and sometimes feels at home. Love the honesty of your arrival and Everyone should read it. I Would like just to offer a diferencia the point of view, not because I think you are wrong, just because you left out a other kind of ” full time” travelers. I fear that you only described the bloggers, and the people that have family money pretty much, also you compare the standards of “normal life” with backpackers life. In the first point the people I surround now are more similar to what I’m doing, we are “work and holiday” travelers, is a special visa that aloud you to stay in a other country for 1 or 2 years and work or study or travel, so with that in mind, what we do is exactly that, usually go to a new city, search for any kind of work, you do it for a few months and then travel again, or with helpX, that aloud you to work and get accommodation and fold for free, it is a hard life some times, but is worth it for people live us, because with that I have been traveling for 4 years now, and not really planning to stop. About the second point you say that doing this is no like staYing in a all inclusive resort or a cruise, or that you need 1000, or 2000 dollars per month, we’ll yes, if you want to keep the same life you had before, and I think when you do this the idea is not to have the same life, IN the begining I was wrong to resort and all inclusive, now I will never do it again, is not what I want any more and what I have learned, is no adventure, no risk, and also nothing to be gained or learned, all my friends that now are lawyers, go to Cancun, Miami, etc, stay in all inclusive, drink there life’s away, go to clubs, get expensive cars etc , and then wait to the next year to repeat, I could not do that any more. This way of life changes you, but as you say, is not for everyone, but when it is for you, is the best thing you can do. Travel to other places can be extremely difficult even with money in the bank. Most assuredly that is the case if the language of the area is different from your own, and if you have no intentions of learning it due to the difficulty of the language itself or due to the fact that you are an older traveller no longer willing to take on such hard work. 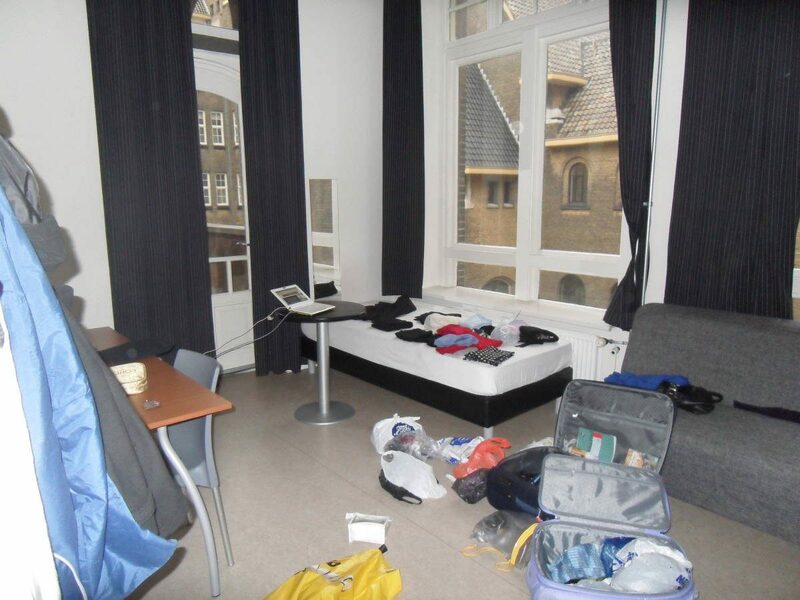 At least when one does not jump around too much and too hard while abroad, one can begin to develop some sort of personal psychological zone of safety, that cannot ever really be done with a different hotel room each night in a different city each day. Thanks for this post, Anna. You don’t often see this type of honesty on other travel blogs. Appreciate it! I’ve recently started following your blog and I really appreciate your honoust posts! Concerning this one … I guess we always want what we don’t have, right? Sometimes you wish for an office job, but it could easily bore you after a few months. I seem to get bored every 2 years and I keep changing jobs. In between we try to travel as much as possible. We would like to (try at least) to go on a longer trip, say a year or so, but rather take the time exploring less countries than rushing every place. I’ve recently started my own blog about our travel experiences and I’m starting to realise how much effort goes into blogging! (But I do love creating more stories). Am looking forward to be reading more from you! Work for an airline even part time you can trade days away or work seasonal 3months then fly free all over the wonderful world. One can also transfer to any station within the company worldwide. Work when you want fly when you want. At a hub you can have over a thousand people to trade away your shift or pick up. First class on international flights sleeper seats for free. Only pay departure tax for country you visit. Best of both worlds. This is an absolutely brilliant post! I could not agree more! I have traveled solo a number of times usually ranging between 3 to 6 months (and usually between school or jobs). You are one of the first to articulate the sentiment of solo travel for long periods, and I greatly appreciate your candid honesty and genuine encouragement for others to find the right travel fit for them. Thank you for this post! Absolutely loved it; it speaks to the heart. Hope all is well wherever you are. I loved this post. It spoke directly to my heart. I’ve always wanted that travelling lifestyle, but I know I don’t want to give up my 9-5 job either. Thank you for such an honest post. 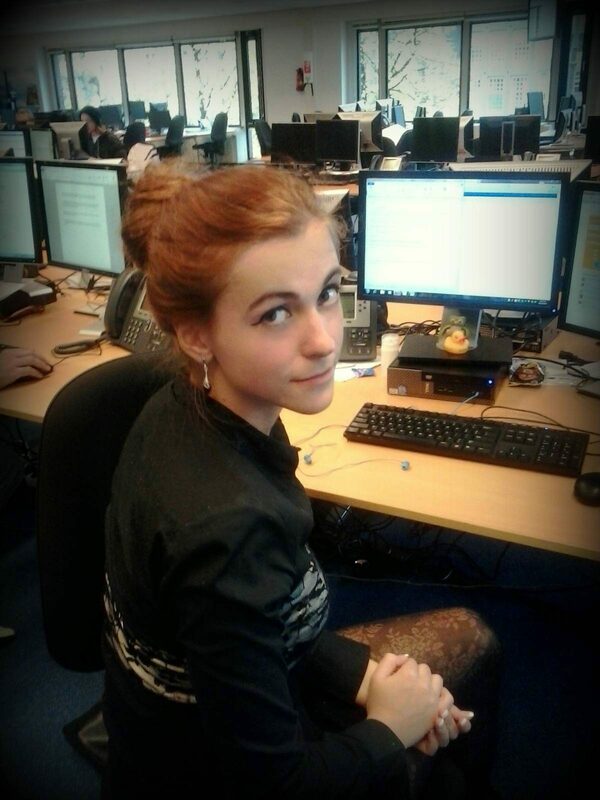 I have just started a new job. My plan was to quit in a few months to go travelling, but I didn’t expect to love this new job as much as I do, which causes me two problems. I’m worried that: 1) If I leave, I’ll lose the opportunity to work for the best company I’ve ever worked for and 2) If I don’t leave, I’ll be happy for a while, but I’ll end up resenting the fact that I’ve settled and given up on my dreams to travel. I know that it won’t hurt to postpone my travel plans. The rest of the world isn’t going anywhere. But there are so many what ifs. I also have a habit of settling in jobs that are comfortable only to regret it one or two years down the line when I find myself bitter and dissatisfied. I don’t know if this one will be any different. The idea of staying in this job and not following through with my travelling plans terrifies me. I’m only 26, I’ve just come out of a series of long-term relationships, and I don’t know if I’m ready to settle. I feel like I still have so many things to figure out and to experience, including that big question – what do I want to do with my life? I’ve always flitted between jobs and travelling and I haven’t ever made the effort to build a life or set up a home where I live, and this has been a huge source of unhappiness for me. I have no real connection to where I live – no close friends, no career network, no home of my own. This new job feels like a chance for me to finally plant some roots. In a perfect world, I would continue with my plan – work, live at home, save, go travelling – and then return to the same job in the future. But I don’t know that the job will still be waiting for me when I get back and I don’t know if that’s a risk I am willing to take. I’m so overwhelmed with fear of making the wrong decision. There are so many pros and cons to consider. What if I can’t hack the travelling thing after all? What if I get homesick? What if I come home and I’m even more miserable than before I left? Thank you so much for this honest and thought provoking post. I was always in that “come into work sick” and “cancel vacations for client meetings” camp and when i changed firms i received a check for vacation days i did not take. I thought, “wow, this is literally the price of having no life!” haha. I allow myself more time off now and just work on travelling more efficiently. Hello Anna! Thanks for this amazing and interesting write up! This is really helpful especially to me who loves to travel and at the same time who has a job that is currently the only thing that is making me and my family can eat meal. I am so thankful that I found your post before I could totally decide on quitting my job. Thanks a lot and great blog by the way!